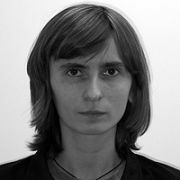 Irina Gorshkova is the recipient of the first Golden Drum Advertising Festival Creative Leadership scholarship. The award, which was awarded to her in October 2006, covers full program tuition for the inaugural executive MBA in Creative Leadership at the Berlin School. Before joining Saatchi&Saatchi Russia in 2004, Gorshkova worked as a journalist, editor and political analyst. Gorshkova received a BA in History and MA in Political Science from Voronezh State University in Russia.